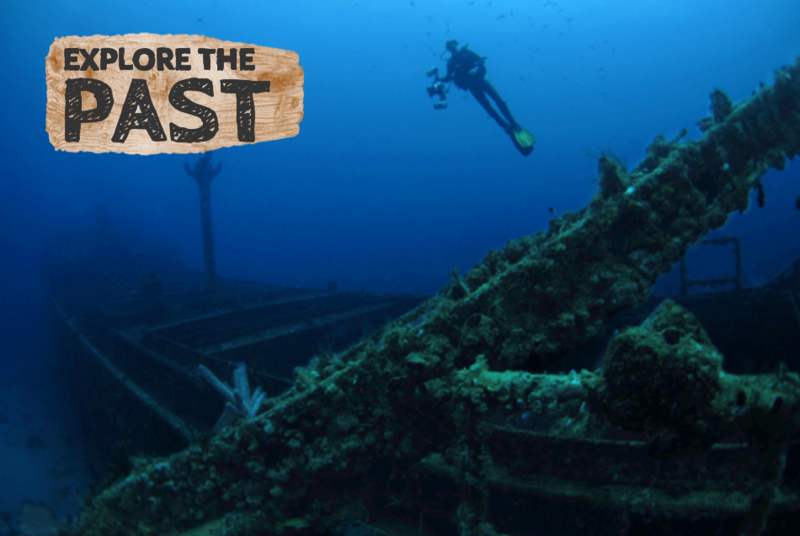 Explore sunken pieces of history, hidden from the rest of the world, and discover their stories. Whether purpose-sunk as an artificial reef, or lost at sea, wrecks are windows to the past. Ships, airplanes and even cars are fascinating to explore, and usually teeming with aquatic life. Each wreck dive offers a chance for discovery, potentially unlocking a mystery or finding something others have missed. On your PADI Wreck Diver Specialty course, you’ll learn more about the fascinating world of wreck diving, responsible wreck diving practices and wreck site protocols, and develop the skills and knowledge you need for fun, safe wreck diving adventures. This is absolutely one of the coolest and most interesting PADI Specialty courses, and will possibly influence your choice of dive vacation locations forever. The PADI Wreck Diver Specialty course counts as one of the five Specialty courses towards your PADI Master Scuba Diver rating. Pre-requisites: Minimum 15 years old; PADI Advanced Open Water certified, and proficiency in dive planning. The PADI Peak Performance Specialty is strongly recommended. Duration: Training dives: 4 (3) - Days: 2. The purpose of the PADI Wreck Diver Specialty course is a safe, supervised introduction to wreck diving. Over 2 days and 4 dives, you'll learn the skills, knowledge, planning, organisation, procedures, techniques, problems, challenges, hazards and excitement of safe, fun wreck diving. You'll also learn about the preparation and use of special equipment, as well as new diving techniques and emergency procedures. There are many different types of wrecks, some of which are protected by laws that guard their historical and cultural significance. Your training includes guidelines for researching and respecting wrecks, which adds more excitement to each dive you make on one. Besides the basic scuba equipment, you’ll need a dive computer, plus a dive light to see into the wreck, a slate and underwater compass for mapping and navigation, and a line and reel for practicing wreck penetration. All the equipment you’ll need is provided during your PADI Wreck Diver Specialty course, and there’s plenty of choice in The Dive Bus shop if you’d like to get your own. 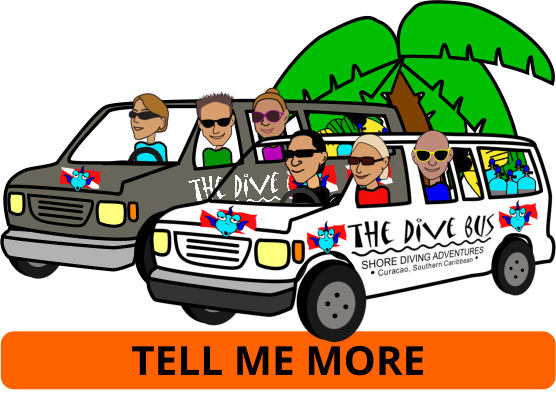 You can be sure that your Dive Bus instructor will advise which equipment is right for you, not their wallet, as there’s no sales commission here. 4 training dives over 2 days. If you completed your PADI Deep Adventure Dive within the last 12 months, you only need to complete 3 dives over 1.5 days. Swing by The Dive Bus as soon as you get to sunny Curacao to pick up your PADI Deep Diver Specialty manual, and start learning! Everything clear? Do it: book your PADI Wreck Diver Specialty course with The Dive Bus now! Love your PADI Wreck Diver Specialty course? Develop excellent buoyancy skills to penetrate wrecks without damage or silt-outs. Diving on Enriched Air Nitrox extends your dive time safely - and fascinatingly.